Business trips to San Diego can be less than enjoyable when your living quarters are not up to your expectations. In the sunny, tropical destination of San Diego, it’s essential that you enjoy your stay in America’s Finest City, even if you are here for business! At Foxwood Corporate Apartments, your expectations will be exceeded with a great apartment living experience in San Diego. For a perfect business stay, all you need to do is book your trip with Foxwood Corporate Apartments. The relaxing atmosphere at the luxury apartment complex will make you feel like you’re staying at a private resort with country club amenities and exceptional, fully-furnished and spacious living areas. Indulge in a swim at the heated pool or relax in the Jacuzzi after a hard day at work at Foxwood Corporate Apartments’ spa facilities. If you want to be indoors, that’s no problem! The living room and main living quarters of your fully-furnished apartment offer lots of space for reading, watching TV, relaxing, or working on at-home projects; no matter how you like to spend your time after work hours, the possibilities are endless at Foxwood Corporate Apartments where you feel right at home. The one- or two- bedroom apartments are complete with upscale furniture, beautiful wall art, and fresh living spaces with an all-inclusive kitchen area, living room with TV and DVD player, and large bedroom with high-quality bedding and huge storage areas in the mirrored-door closet. Live like royalty during your business trip to San Diego. You don’t need to be stuffed into a small hotel room in the crowded downtown San Diego area. 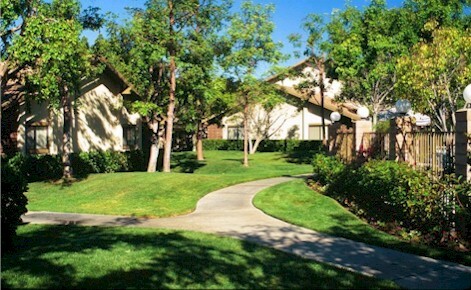 Spread out in the luxury country-club oasis of Foxwood Corporate Apartments and see how real corporate housing in San Diego should feel!